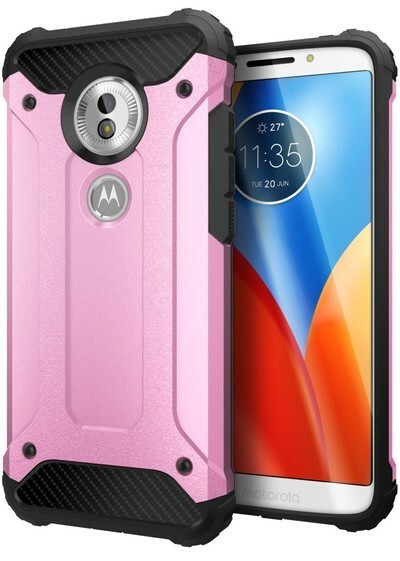 Keep your Moto G6 well-protected with one of these heavy duty cases! 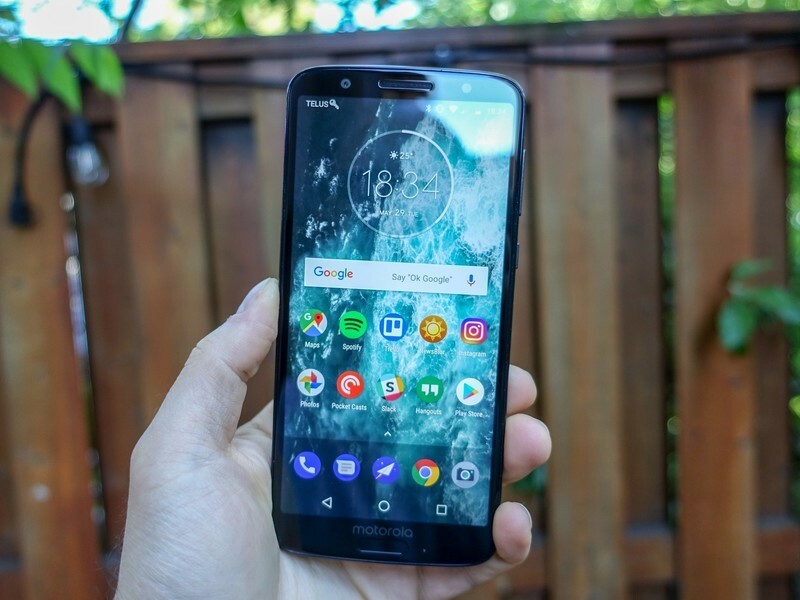 The Moto G6 is a great option for anyone on a budget. Despite its budget pricing, the Moto G6 sure looks premium with Motorola opting for a glass back on this phone. For that reason alone you might be more inclined to buy a heavy duty case to keep your phone safe from harm, but especially if your work requires you to use your phone in situations where you might drop your phone on concrete or other harsh surfaces. We’ve rounded up the best heavy-duty cases for your Moto G6! 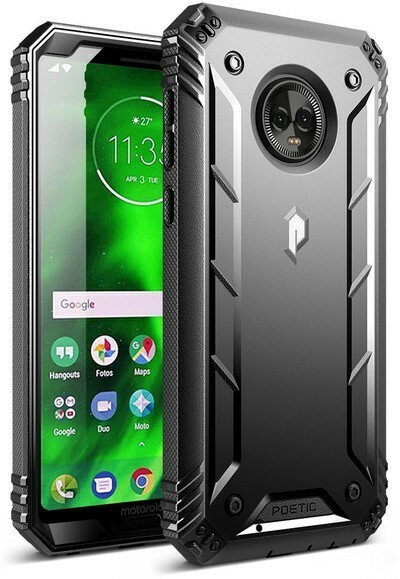 Poetic is a case maker known for its unique cases that blend heavy-duty protection with sleek design elements and its Revolution case for the Moto G6 is a great place to start for the Moto G6. This two-piece case offers 360-degree protection that includes a built-in screen protector along with a case that combines rugged polycarbonate with shock-absorbing TPU. There are dust flaps covering the ports to prevent dirt and pocket lint from getting into your phone, while the exterior of the case is covered in accents that help with grip and give it a unique look. You can get this case in your choice of three colors for just $17. Often the added bulk of a heavy duty case makes it hard to carry the phone in your pocket, which is why you often see the most heavy duty cases coming with a belt clip holster — as is the case with this NageBee Heavy Duty case. This case combines a TPU inner sleeve with a rugged polycarbonate shell that features a pop-out kickstand for hands-free media viewing. 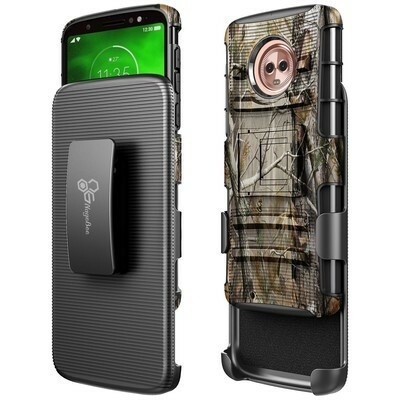 The design of this case allows for the TPU to come through the sides, which will provide you with a bit of extra grip and it’s available in a camo finish for the outdoorsy types. Use the included holster if you need quick access to your phone in the field but want to ensure that it’s kept safe when not in use. Not a fan of the camo finish? This case is also available in black for the same low price of just $10. From here on, we’ll be highlighting rugged cases that are a bit more sleek and manageable. Cimo has you covered with its Carbon Armor case. This dual-layer case features a rugged outer shell combined with a silicone sleeve that features a carbon fiber finish along the top and bottom of the case. 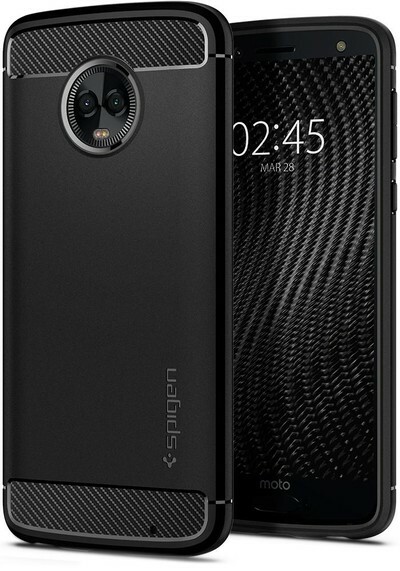 There’s a cutout for the camera and also the Motorola logo for those who care about branding, and everything is designed to keep your Moto G6 well protected and functional. 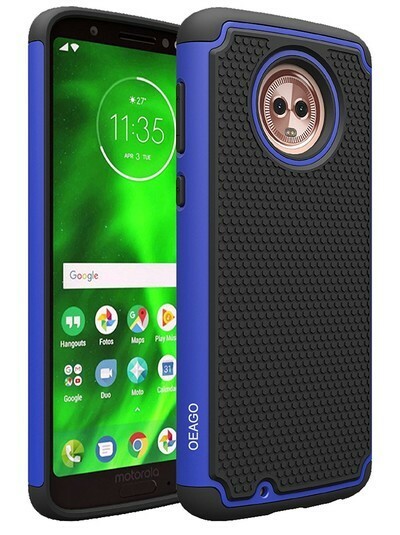 This case from OEAGO basically a triple-layer case that offers you excellent protection for your G6. It starts with a robust TPU sleeve, which is wrapped by a polycarbonate shell, which is then plated with another layer of TPU complete with a grippy texture to ensure your phone doesn’t slip off the table or out of your hand. It all adds up to a pretty solid case available in multiple color options and just happens to be among the most affordable on this list at just $8. It’s got that carbon fiber finish at the top and bottom with a matte finish elsewhere, along with Spigen’s air cushion technology in the corners to help absorb impacts. It’s a slim, one-piece case that might not appear as rugged as the other cases on this list, but looks can be deceiving — this case is the real deal! What’s your favorite heavy duty case? Which of these cases we’ve highlighted caught your eye? Got a fave that didn’t make our list? Let us know in the comments below!